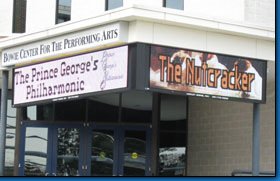 Electronic Message Center Signs Maryland MD | Virginia VA | Washington DC | KERLEY SIGNS, INC.
Our professional Design Team will work with you to find the most suitable colors and creative use of space to represent your sign needs. We will also story board your initial electronic message and assist you in programming your primary message to get you started. When choosing the signage that best suits your needs it is imperative to do your homework. Be sure to consider all options, as making a quick, uneducated decision may lead to the realization of a mistake. There are many styles of signs available, each one contributing a different feel and message. These options enable you to portray a variety of messages, while allowing you the liberty to assign your desired theme. Perhaps one of the most effective and popular styles in the industry today can be seen in the design and characteristics of electronic message center signs. These signs can be used either indoor or outdoor and are perhaps the most versatile, technologically advanced options available on the market today! 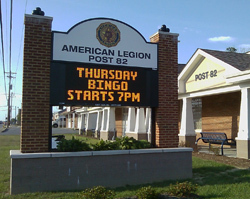 Electronic message center signs are generally quite flashy and are able to capture the attention of virtually all who pass. Their uses are essentially unlimited. With these signs you have the power to choose how you want your information presented. Options include scrolling text, rolling text, or just standard stationary text. The possibilities enable you to present a variety of information without having to worry about how much space is available. Oh, the wonders of technology! Regardless what industry you're researching for, these resourceful products can be seen as an intelligent investment. So regardless what your intention may be, let our staff of professionals help you by creating a sign that'll best suit your specific needs. 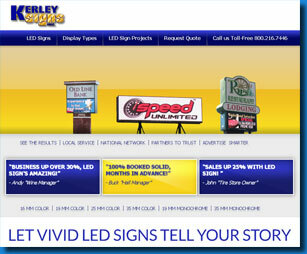 Contact Kerley Signs today for your free estimate!